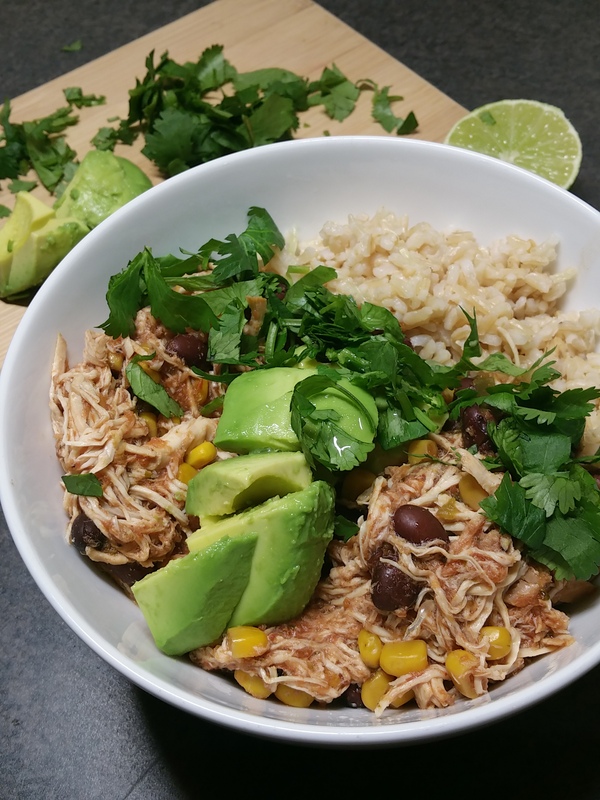 Super easy slow cooker spicy chicken. The title doesn’t lie. I can’t emphasize enough how A) simple, and B) delicious, this recipe turned out to be. It also happens to be healthy, and if you – like us – are only cooking for two, it yields a delicious dinner and nearly a week worth of lunches. Of course, it begs the use of a slow cooker, though there’s no reason to believe that you couldn’t do this on the stove top, though if you’re going to head in that direction, you might as well make up a batch of my spicy chicken and rice. This is essentially the slow-cooker version of that recipe. Author’s note: My lovely wife is the one who discovered, modified and cooked this recipe. She deserves all of the credit. Yes, this recipe requires a slow-cooker, which should not be a limiting factor. In fact, if you don’t have one, do yourself, your taste buds (the ones on your tongue), and your taste-buds (the friends that you make food for) a favor, and head on over to amazon and spend the 50 bucks. You won’t regret it. The other thing about this recipe that stood out to me is its versatility. Yes, I served it over brown rice, with some avocado, fresh cilantro and a squeeze of lime, but you could serve it in any way. It would be good on a burger bun, with some BBQ sauce and slaw, wrapped in a tortilla with shredded cheese and your favorite toppings, scattered over nachos, or simply on it’s own. Place the chicken in the basin of the slow cooker. Pour the black beans, corn and salsa over the chicken breasts, and sprinkle the spices on top. Mix it all together until the breasts are coated and the spices are all mixed in. Set the slow cooker to low, and cook for six hours. Shred the chicken into the mixture with two forks before serving. Serve your new favorite dish with cilantro, avocado and a squeeze of lime, sit back, and enjoy! 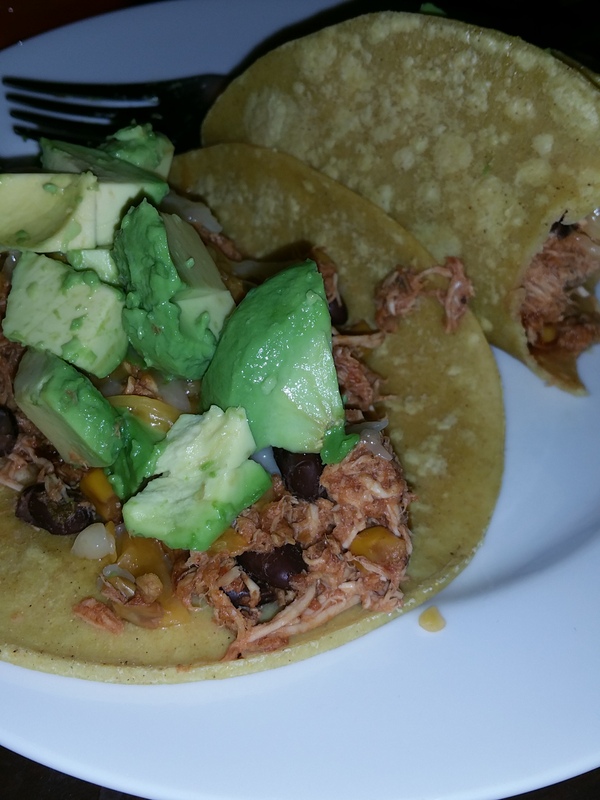 Dinner # 2 with this dish – chicken tacos! Sorry its not a great pic. Love it! I love this bowl trend! I haven’t done it myself, because I’mstubborn that way, but it looks really fun!